Trinity Elder Law & Estate Planning LLC is a law firm entirely dedicated to elder care and special needs planning. We are located in Butler, Pennsylvania, and serve families throughout western Pennsylvania. We assist families in the areas of Medicaid Planning, VA Benefits planning, Special Needs Planning, and Estate Planning. Julie C. Anderson is a Certified Elder Law Attorney (CELA), and was the first CELA in Butler County, Pennsylvania. A CELA is a lawyer who has met the high standards required for certification as a specialist in elder law. 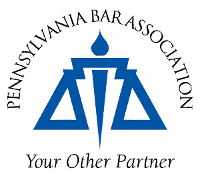 The The Certified Elder Law Attorney designation is conferred by the National Elder Law Foundation under authorization from the Pennsylvania Supreme Court. To attain this designation, an attorney is required to complete additional requirements, including successful completion of a day-long written examination, verification of substantial involvement in elder law matters, and additional continuing legal education.